Drottningholm Palace is the name of the Royal Palace in Sweden, which is the official residence of the Swedish royal family. This is one of the most impressive castles in the Northern European country which is situated on the island of Lovön close to the capital, Stockholm. Along Drottningholm is the beautiful Mälar lake, which is also located on the island of the royal residence. Castle Drottningholm was included in the list of World Heritage by UNESCO in 1991, mostly because of the majestic theater and so called Chinese pavilion, which are all apart of the mansion. The world organization on Drottningholm commented: With its castle, perfectly preserved theater which was built in 1766, Chinese pavilion and the gardens Drottningholm is an excellent example of an 18th century construction within northern Europe. The royal residence was inspired by the palace in Versailles. The original building of the castle Drottningholm was erected there in the 16th century and was even built on the site of an old royal estate called Torvesund. 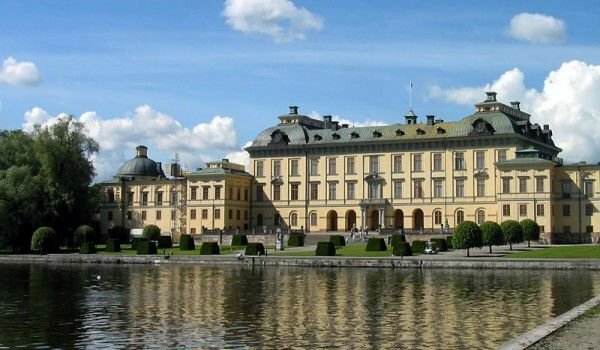 At the initiative of Queen Caterina Jagellonica it was her who ordered the the first building of the palace Drottningholm to be built of which later became very popular. Catherine Jagellonica was a Polish princess, queen of Sweden and Grand Duchess of Finland and wife of the Swedish King Johan III. The renaissance building at the request of the Queen was built in 1580, and its architect was Willem Boy. Drottningholm literally translates to, island of the Queen. In its present form castle Drottningholm was designed by architect Nicodemus Tessin, and after his death the project was completed by his son. During the reign of Luise Ulrike in the middle of 18th century the interior of Drottningholm was transformed into the French Rococo style. Luise is one of the reasons today that the royal palace has one of the most magnificent theaters. A walk around Drottningholm Palace is available today at any time of year. The last external walls of the castle were renovated in 2003 and before that in 1977 was the launch of a major restoration project of the beautiful building. The Royal Theatre is housed in the building of Drottningholm and in the summer it conducts opera festivals. The theatre of the castle Drottningholm is considered one of the oldest existing royal theaters in Europe. The palace gardens are very much reminiscent of those French jewels in Versailles. The gardens especially enjoy the great popularity among visitors to the castle. They are arranged in different historical phases, with the result that today the castle park of Drottningholm has a beautiful blend of styles.